A new Missouri law offered a first-of-its-kind solution to the physician shortage plaguing thousands of U.S. communities: Medical school graduates could start treating patients immediately, without wading through years of traditional residency programs. Following Missouri's lead, similar measures were enacted in Arkansas and Kansas and considered in Oklahoma. The idea appeared to be a new model for delivering medical care in regions with too few physicians to meet needs. Yet more than 18 months after that first law passed, Missouri regulators are still trying to make it work. And not a single new doctor has gone into practice in any of the three states as a result of the new laws. "You've got the need for services on one hand, and you've got a group of people that are capable of providing those services. But we're not making it happen," said Dr. Keith Frederick, an orthopedic surgeon and Missouri House member who is frustrated by the delays in implementing the legislation he sponsored. "By no means are you ready to assume being a physician when you graduate from medical school." There are more than 6,200 places nationwide with a shortage of primary care physicians, ranging from urban neighborhoods to entire rural counties, according to statistics from the U.S. Department of Health and Human Services. Universities have been launching new medical programs and expanding student enrollment in an attempt to meet an even larger projected doctor shortage caused by retirements and an increased demand for physicians under President Barack Obama's health insurance overhaul and state Medicaid expansions. Total U.S. medical school enrollment approached 110,000 this past year, up almost one-third over a decade ago. 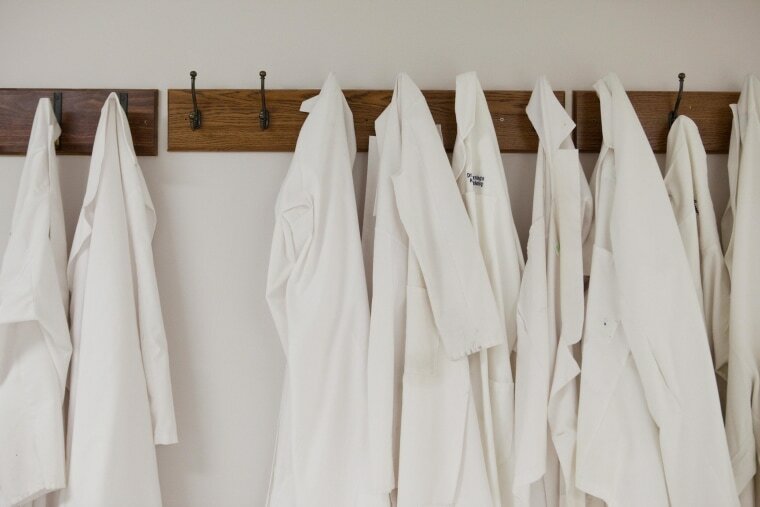 Residency programs, which provide an additional three to six years of post-graduate training needed for physicians to be certified, have also grown but have failed to keep up with demand. When foreign medical school graduates are added to the mix of U.S. students, more than 8,600 applicants were denied residency positions this year through the nation's main matching service. That's an increase of more than 50 percent from 2005. That bottleneck is due partly to a 1997 federal law that limits the growth in federal Medicare funding for residency programs. States have taken a number of steps to get more medical professionals in the field. Some have allowed specially trained nurses, physician assistants and pharmacists to assume greater roles. Others have kicked in state money to expand residency positions. The Missouri law creates a license for an "assistant physician," defined as someone who graduated from medical school within the past three years and passed the first two rounds of licensing exams within the last two years, but who has not completed a residency program. The law allows them to provide primary care services in "medically underserved" areas as long as they are supervised by another physician. They can work as an "assistant physician" indefinitely, essentially sidestepping the residency requirements. Once the program is operating, supporters expect it to serve as a prototype that will spread beyond the Midwest. "It kind of allows us to be a trailblazer on the issue," said Jeff Howell, the government relations director for the Missouri State Medical Association. But Missouri's new rules may not take effect until fall 2016, and supporters of the law are growing frustrated with each passing month that it remains in limbo. Sara Bubenik said she graduated two years ago from medical school at Oregon Health & Science University with about $350,000 in loans but had to retake the licensing exams several times before passing and has subsequently been unable to get a residency position. Although the Missouri law could offer her another route, the implementation delays mean she could soon be disqualified by the law's time limits on testing and graduation. "It's heartbreaking for me, because I'm not going to be able to be a physician," Bubenik said in a telephone interview from New York, where she now is pursuing a master's degree in public health. "It's also really disappointing that I owe so much money and will never get to pay it back. I'm bound for the cycle of poverty." "You've got the need for services on one hand, and you've got a group of people that are capable of providing those services." The Missouri law was the brainchild of Dr. Edmond Cabbabe, a plastic surgeon in St. Louis who is active in state and national medical associations. But the measure is opposed by some of the nation's most influential medical organizations, including the American Medical Association, which stands against any proposal that allows doctors to gain special licensing without completing a residency program. Instead, the AMA wants more government funding to increase the number of available residency positions, something that has proved difficult to pass in Congress. The Missouri law also is opposed by the Association of American Medical Colleges and the American Association of Colleges of Osteopathic Medicine. They say medical school is not intended to prepare physicians to go directly into practice but to lay a foundation for clinical residency training. Even some rural physicians, who could potentially benefit from the help, don't like the Missouri law. Dr. Tammy Hart is the only physician in Missouri's Mercer Country along the Iowa border. She opens her office at 7 a.m. to walk-in patients with urgent needs and often ends up working on days off. But Hart views the new Missouri law as "a very poor answer" to the physician shortage. "By no means are you ready to assume being a physician when you graduate from medical school," she said. Arkansas created a category of a "graduate resident physician," but it limits participation to people who graduated no more than two years ago and who either live in Arkansas or attended a medical school there. In Kansas, the new position is described as a "physician in training" but is even more limited, applying only to graduates of the University of Kansas School of Medicine. They could stay in that role for no more than two years. Missouri's more expansive program has drawn interest from numerous doctors across the country, including many who are not actually eligible because they graduated too long ago. Among them is Dr. Ammar Hashim, an Iraqi native who says he graduated from medical school in Baghdad in 2005 and is now a U.S. citizen. Hashim is the chief operations officer of five Texas medical clinics but has been unable to get licensed as a U.S. physician. If he could take advantage of Missouri's new law, Hashim said, "I would put my clothes and my kids' clothes in their bags, and we would go right away."